The Radford City Chamber of Commerce presents the 2019 Radford Bunny Trail on Saturday, April 20, 2019 at multiple businesses and locations in downtown Radford, VA.
Bring your baskets and stop for treats and goodies from East to West Main Street. To view the event flyer, visit: https://i.imgur.com/JDtxJrH.jpg. 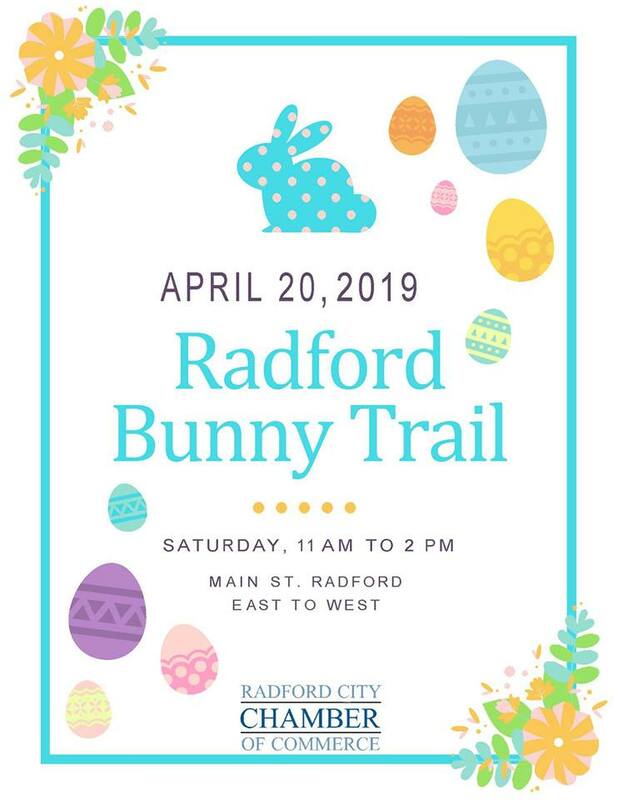 For more information, visit: http://radfordchamber.com/event/radford-bunny-trail or https://www.facebook.com/RadfordChamberofCommerce/ or 540-639-2202.